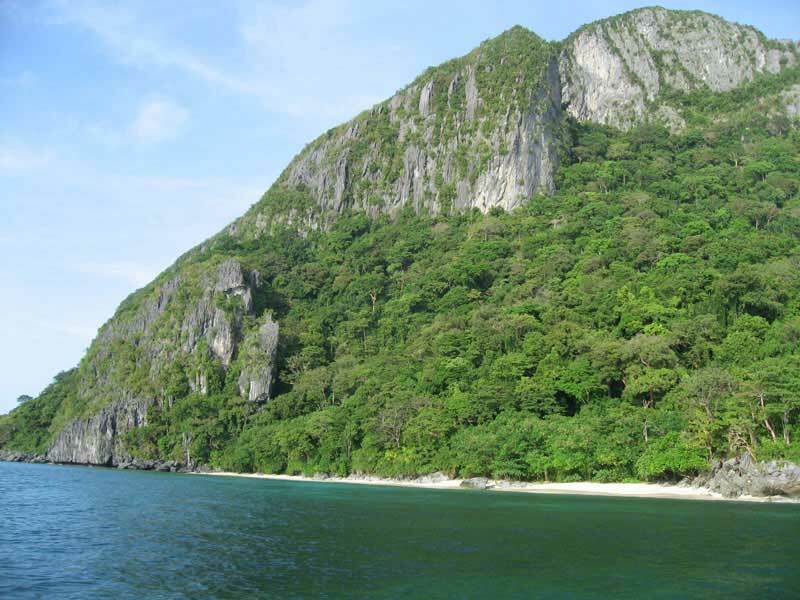 Located 238 kilometer north of Puerto Princesa at the tip of Palawan’s northwestern coast is where you will find the small village of El Nido and the stunning beauty of it’s surrounding marine reserve park. 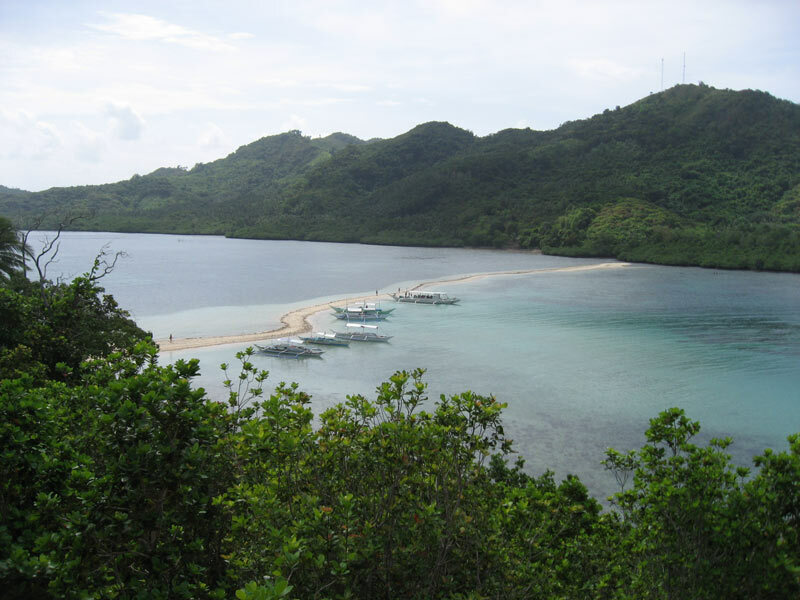 Due to it’s remote location the Bacuit Bay remained virtually unknown to the world until 1979 when a boat propeller accident at sea forced a group of divers to set anchor in the archipelago. 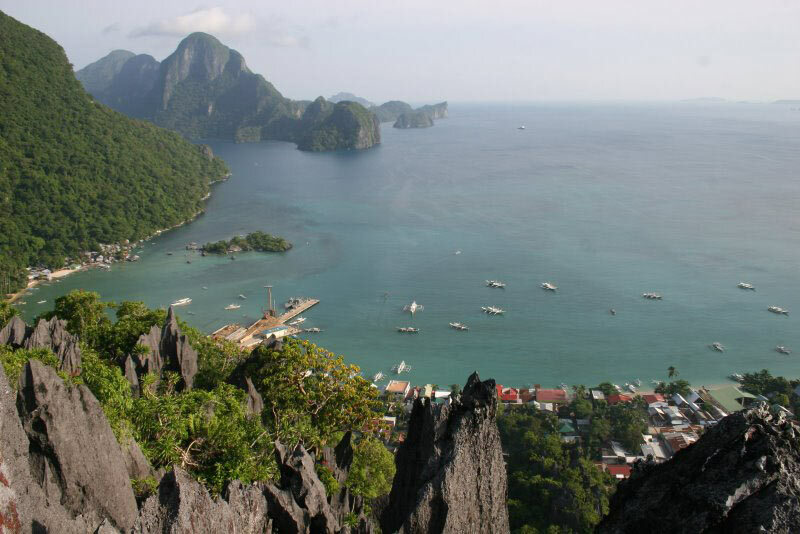 What they discovered was a breathtaking scenery of endless islands and islets made of thick virgin forest surrounded by fine white sand beaches, crystal clear waters and magnificently sculpted limestone cliffs. 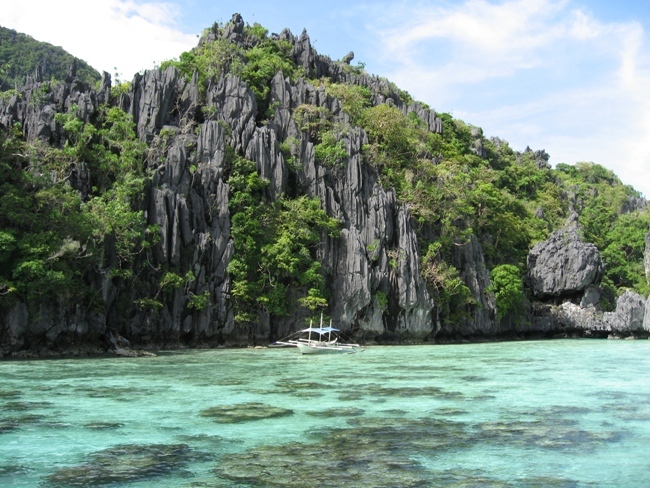 El Nido’s archipelago played a key role in the decision of National Geographic Traveler magazine to rate Palawan as the best island destination of East and Southeast Asia in 2007. 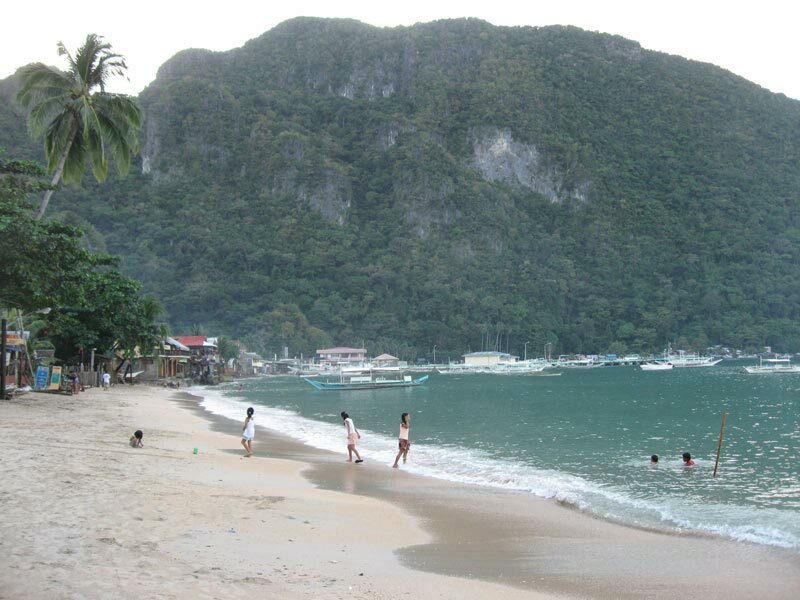 So don’t be put off by the 6-8 hour long journey (half of on bumpy roads) from Puerto Princesa as the price to pay for a bit of discomfort is undeniably well worth the reward. 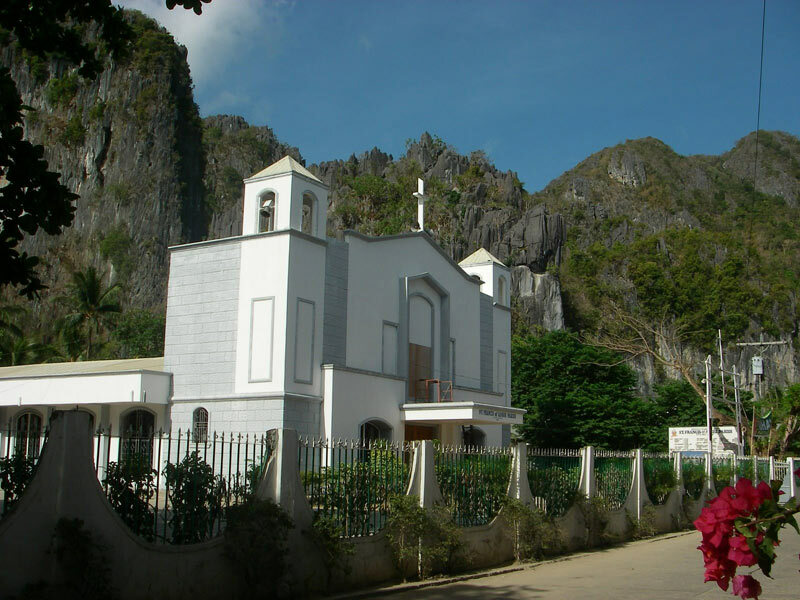 El Nido town is a charming and quiet little Filipino village with very simple living that thrives mainly from fishing and tourism. 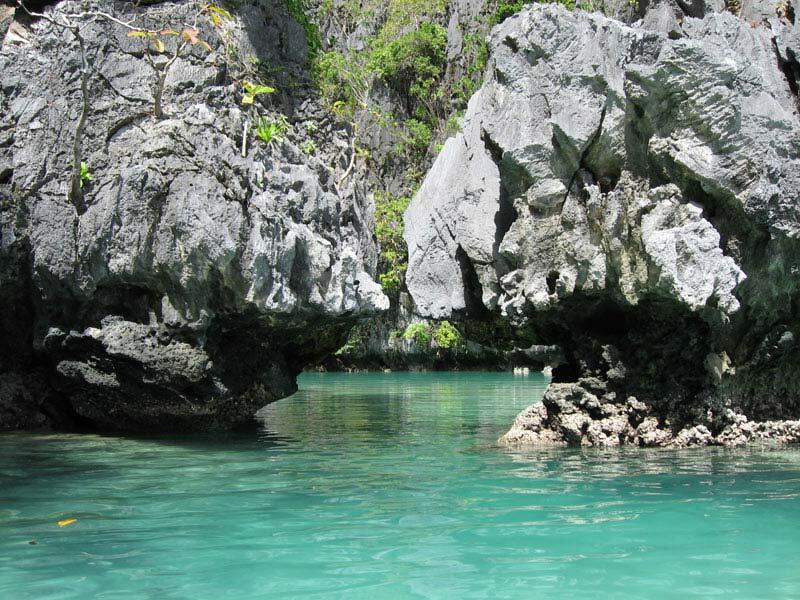 Located along the beach and facing the Bacuit bay it is surrounded by the region’s dramatic landscape of towering limestone cliffs covered in a blanket of green that mirror onto its emerald waters. Affairs as you would imagine are very relaxed here and the whole town is made up of a few quaint streets filled with a variety of surprisingly good little restaurants serving both local delicacies and international cuisine, laid back beach bars where you can sip a cold San Miguel after a long day spent island hopping, a karaoke bar (videoke as they call it in the Philippines) where you can join the locals for a tune or two, a few grocery stores and souvenir shops. 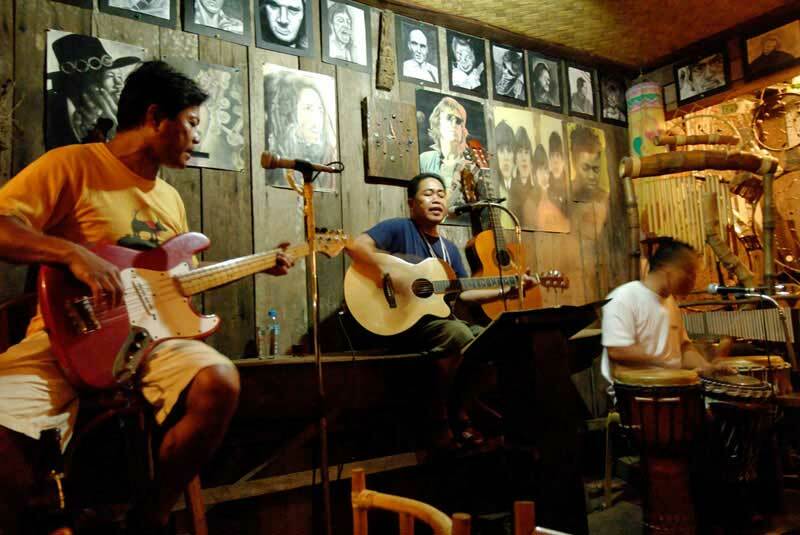 Those looking for a bit of nightlife should head to the Balay Tubay joint as it features a live band every night playing a mix of Rock, Folk and Filipino music. 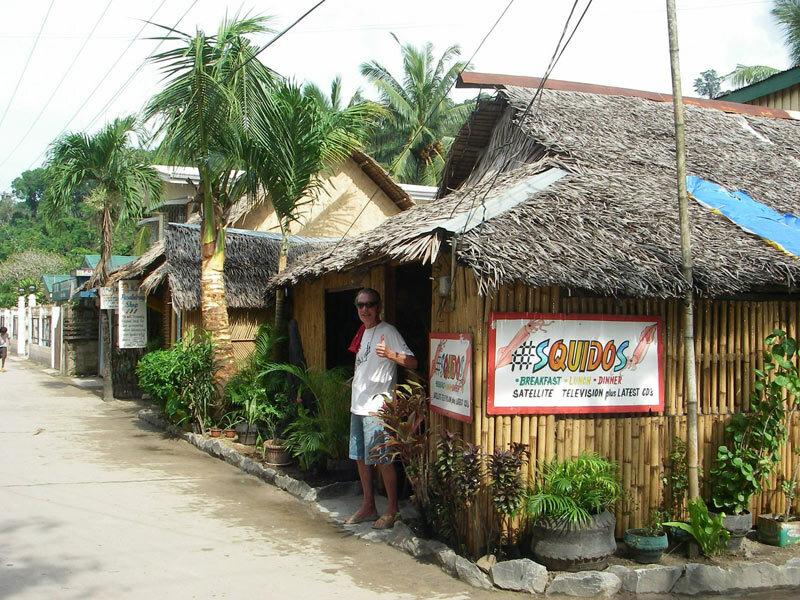 A bit of dancing is also possible at El Nido’s only discotheque made up of an imaginatively redecorated 50 Sq. Meters house. 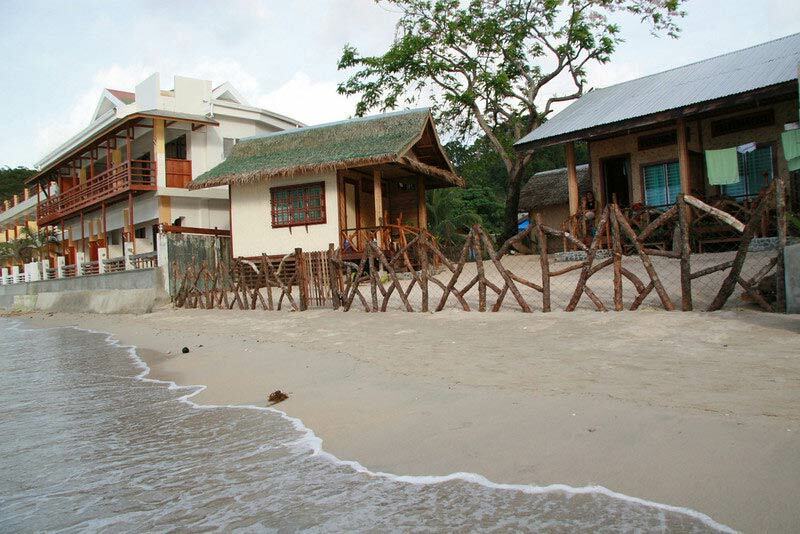 There are plenty of budget and mid-range accommodation options in town that will cater to just about everyone’s needs. 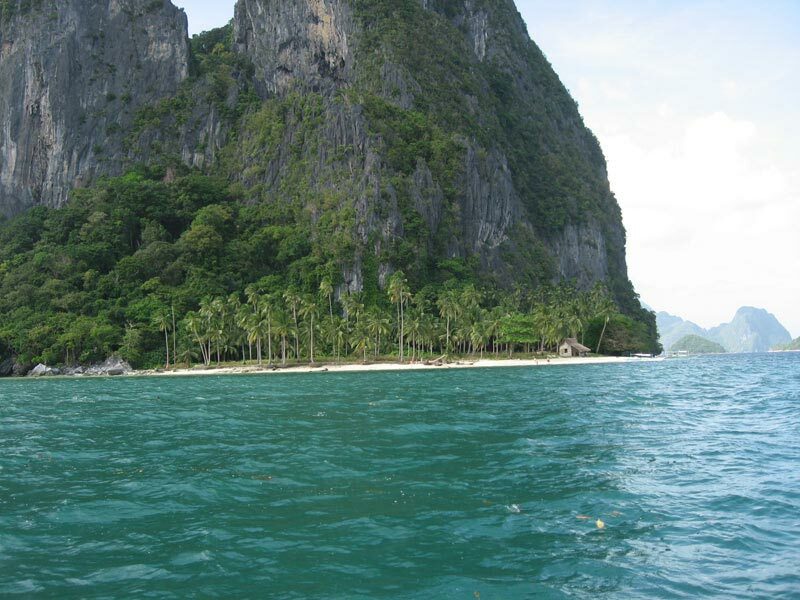 Though the town is quite pleasant in itself the real beauty of El Nido lies amidst it’s Bacuit Archipeleago. 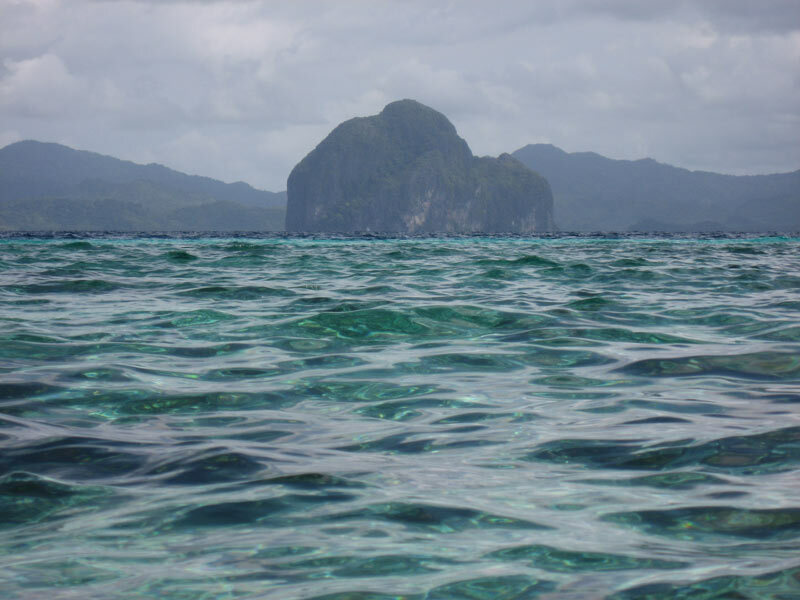 The most striking features of the Marine Reserve is the scenic landscape made up of 45 magnificently sculpted limestone islands of varying shapes and sizes. 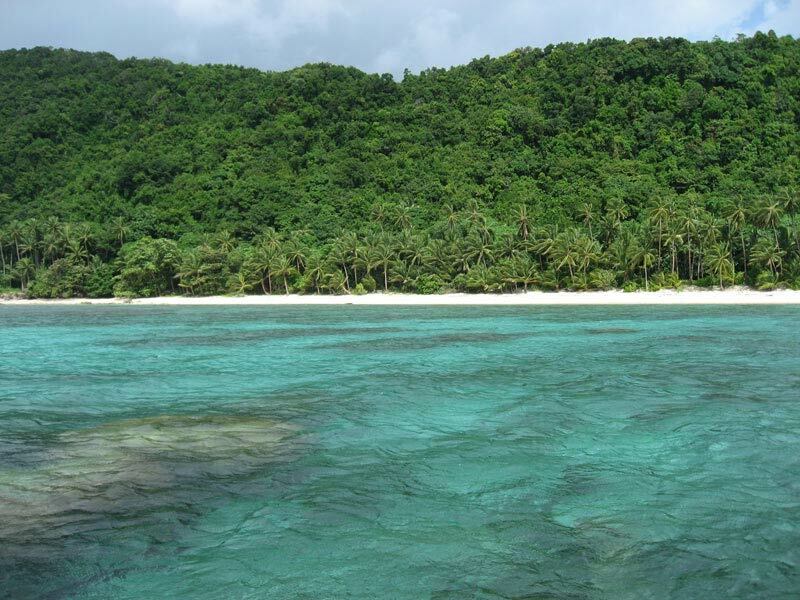 Each one of them with their own unique features of beautiful lagoons, thick green forests, coves, bays, white sand beaches, caves all scattered about the sparking crystal clear seas. 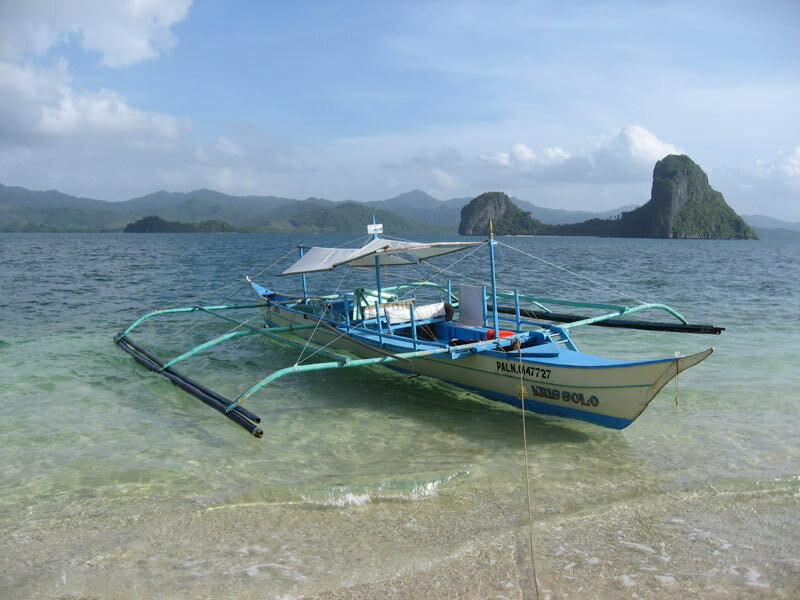 Hiring a boat to take you island hopping and snorkeling for a 6 hour day tour should cost you about 1500-2200 Philippines Pesos (Those on a budget can join a group for around 500-800 PHP). 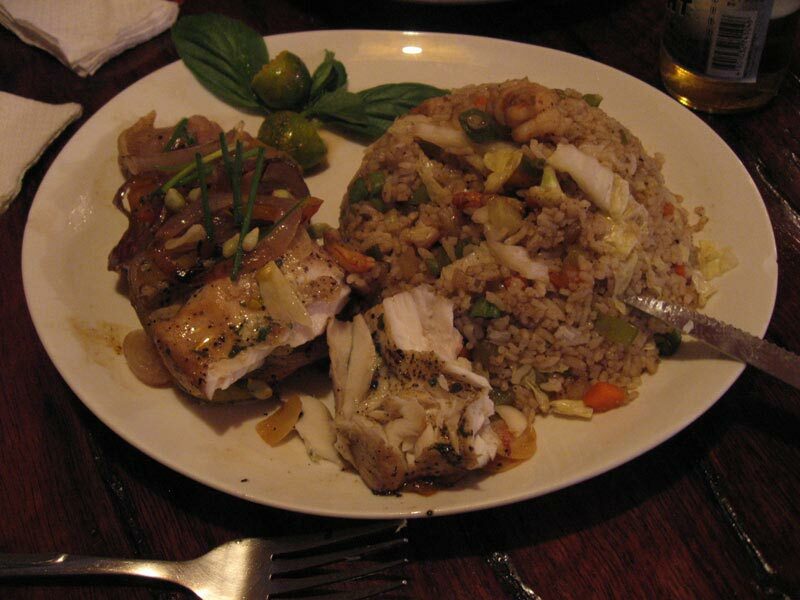 I highly recommend arranging to have your tour guides include (some have it bundled it in the prices while other ask extra) a cooler for cold beverages and lunch made up of fresh fish, beef or pork that they will BBQ and serve with rice and fruits on one of the beaches of your choice. 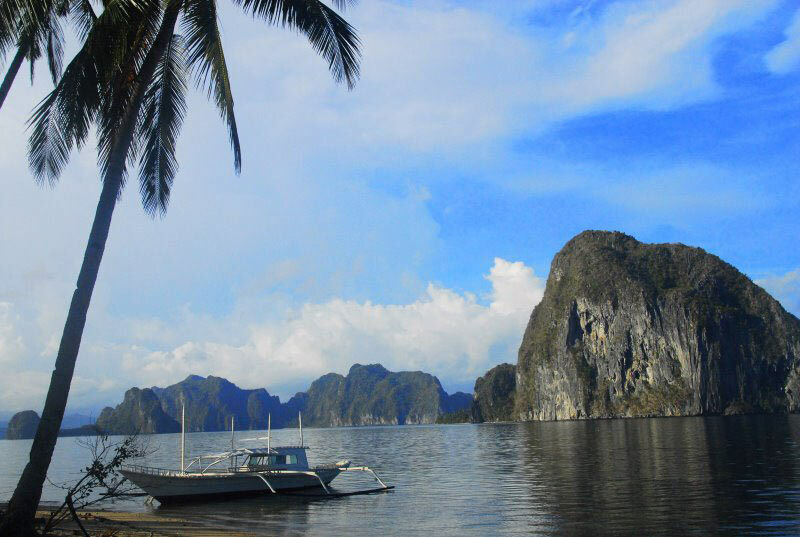 A truly unforgettable experience to dine in the Bacuit bay. 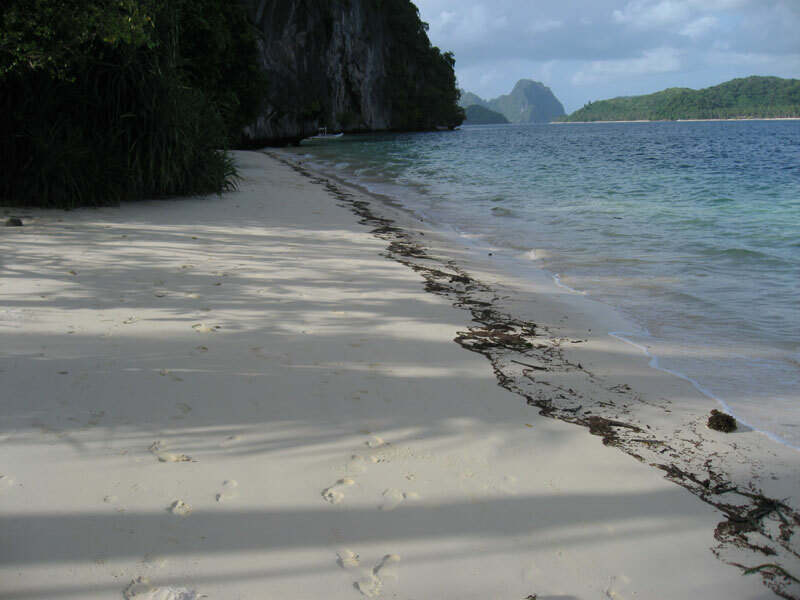 Since the bulk of the boat tours start at 8-9AM and follow one of the main four island hopping tours in a linear path a good tip is to leave an hour late to avoid any crowds. Air-con Shuttle Van: Take one of the air-con mini vans from Puerto Princessa’s new market bus station between 6 and 9 AM in the morning and 1 to 2PM in the afternoon. 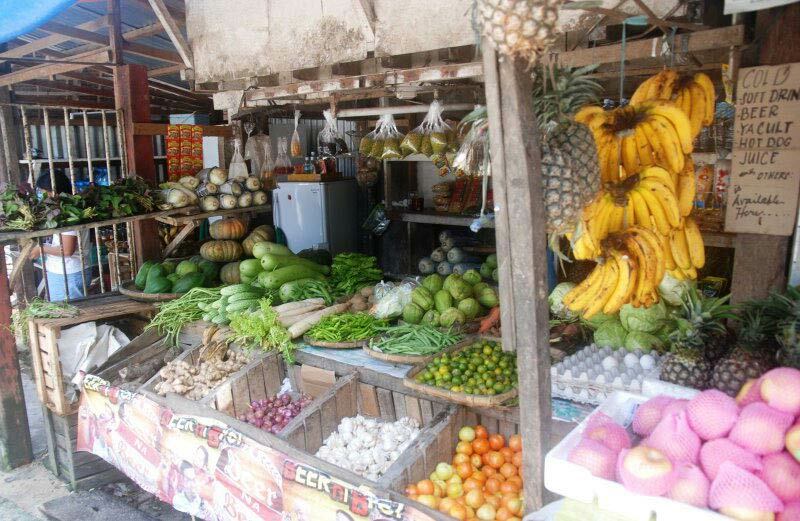 Costs are 600 pesos (±$12) per person and the trip takes 6-8 hours. 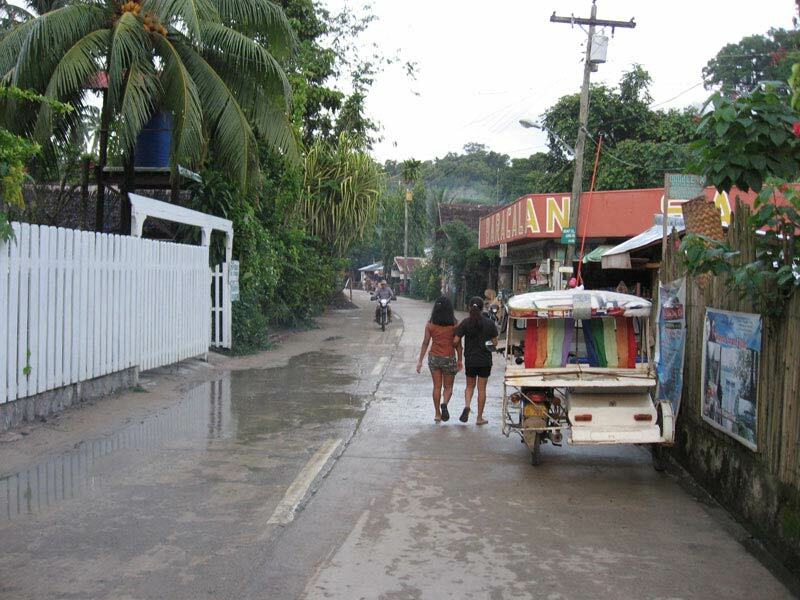 Possibility to make reservations (best for afternoon trips) via phone at: +63(0)9209815702 or +63(0)9172762875. 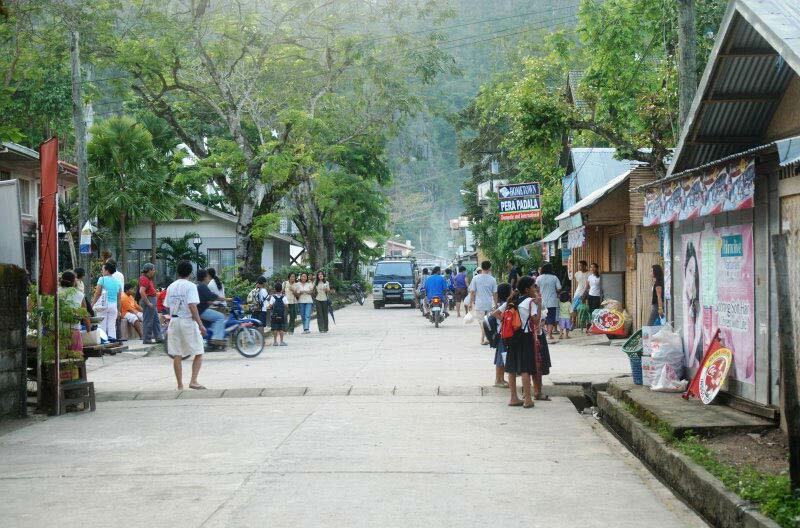 Local Bus: Take the local non-aircon daily bus that Leaves Puerto Princessa’s new market bus station everyday at around 8 AM for El Nido and costs P350 pesos (±$7) per person. 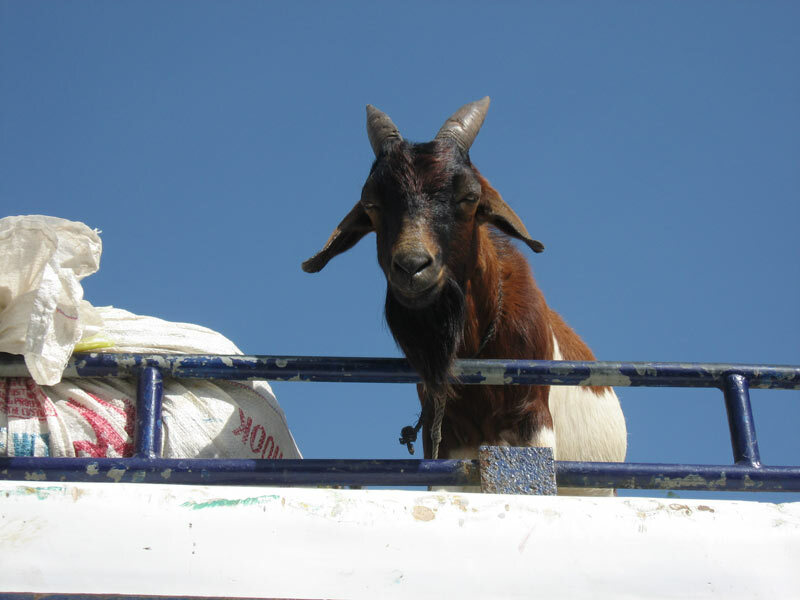 BEWARE as these buses are packed to the brim with people (or livestock) standing inside or on top. Windows are nonexistent so expect to be covered in a dirt by the time of your arrival. 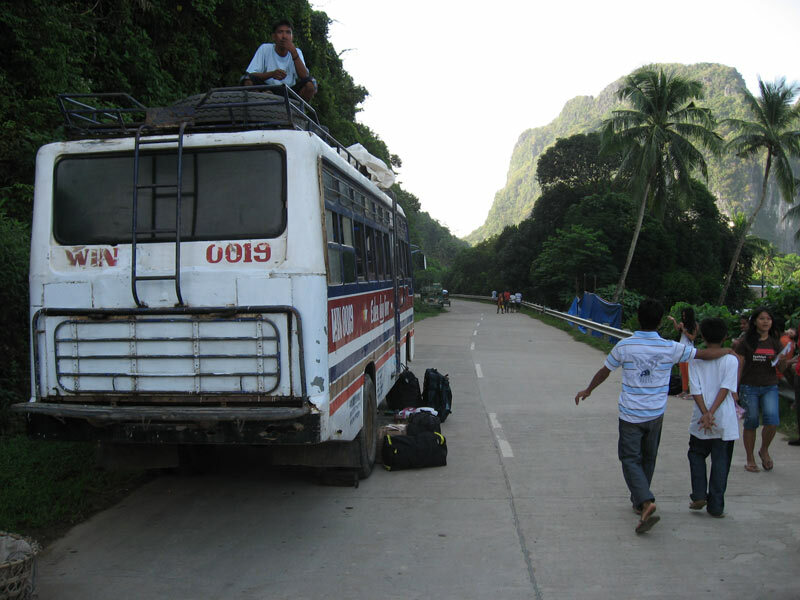 Trip Takes from 8 to 12 hours depending on weather and how many flat tires to change. 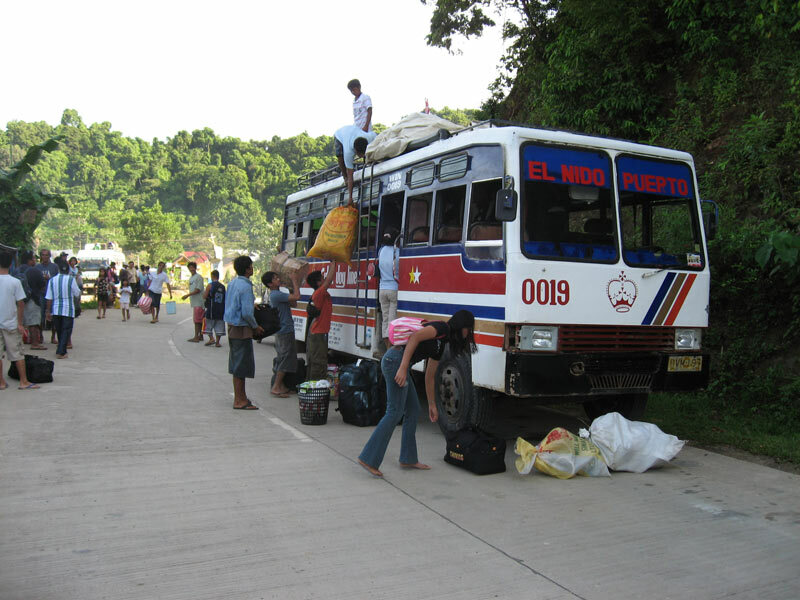 Eulen Joy Bus phone: +63(0)9197162210 or Sweety Bus phone: +63(0)919711922. Private Van for Hire: These can be arranged in Puerto Princesa on any given day but the prices are steep around P10,000 (±$200) and can fit around 8 people. Not too bad if you are travelling in a group. Trip Takes 5-8 hours depending on how many stops you want to make. 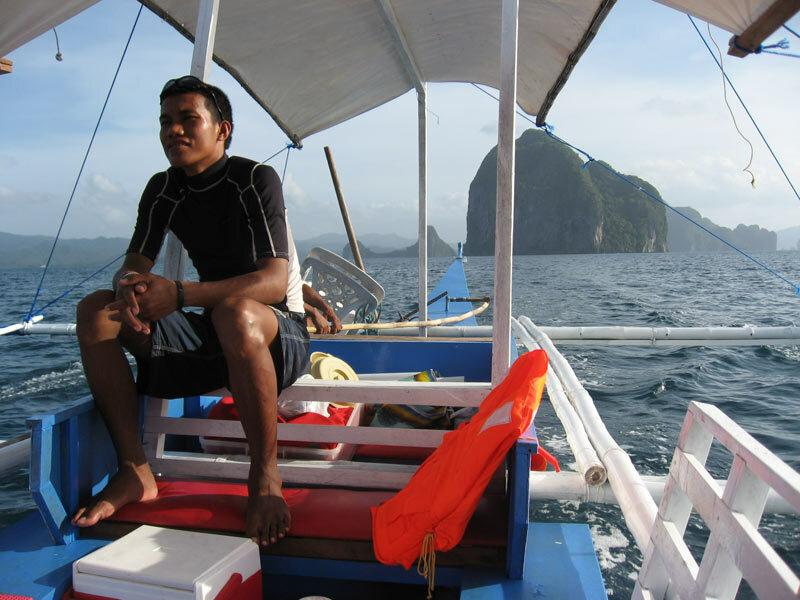 Sabang – Port Barton – El Nido Banca route: These boats on run regularly during high season for around P1,500.00 to P2000/person (±$30-40) . Trip takes around 7 hours. What a gorgeous place! The view is breath-taking! I would love to visit this place. Vincent, you’re an excellent photographer. Thanks for the info. 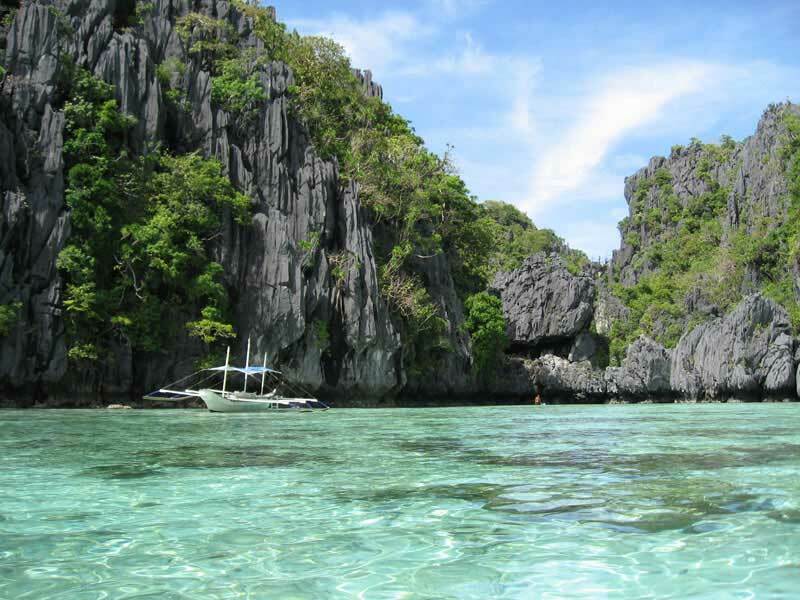 What a lucky guy that you are having been to these beautiful places in the Philippines. Good luck! 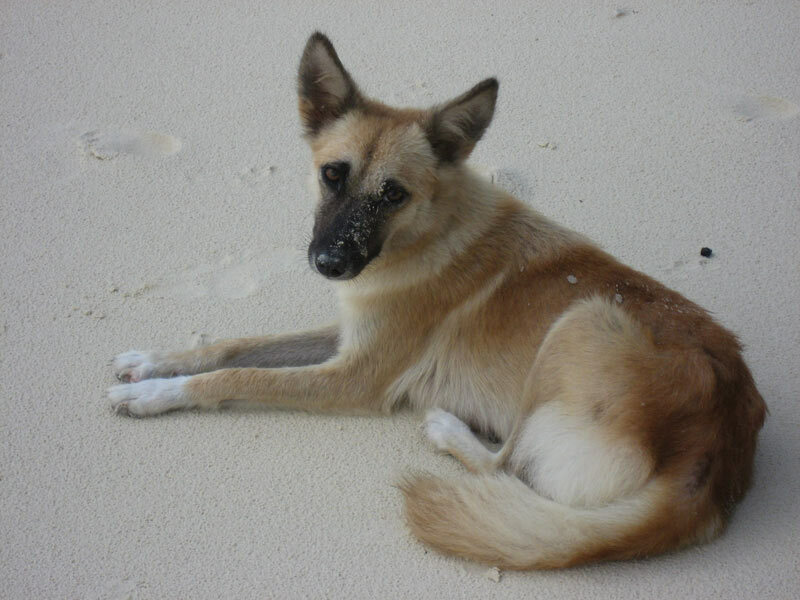 wow very nice site…love the pictures! informative too.. keep it up. Thank you so much for putting up this informative post. 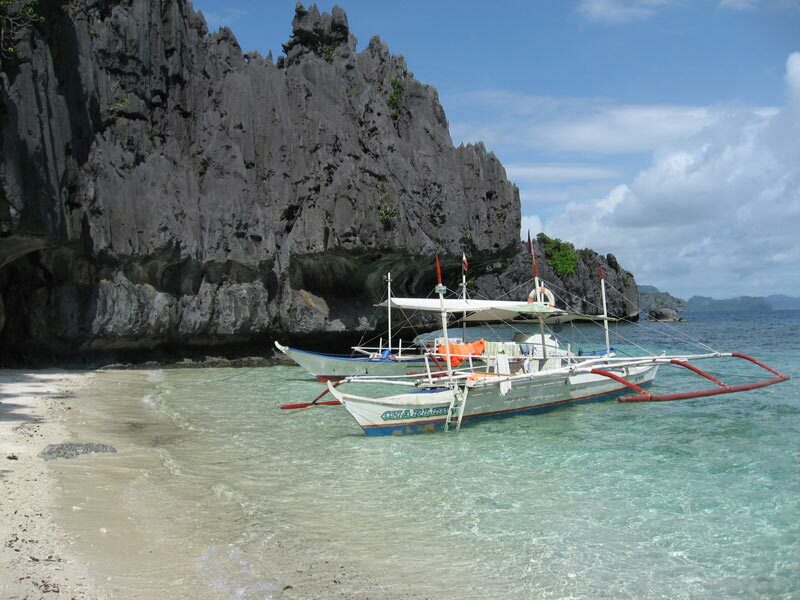 I am a Filipino and frankly I have not visited this place! 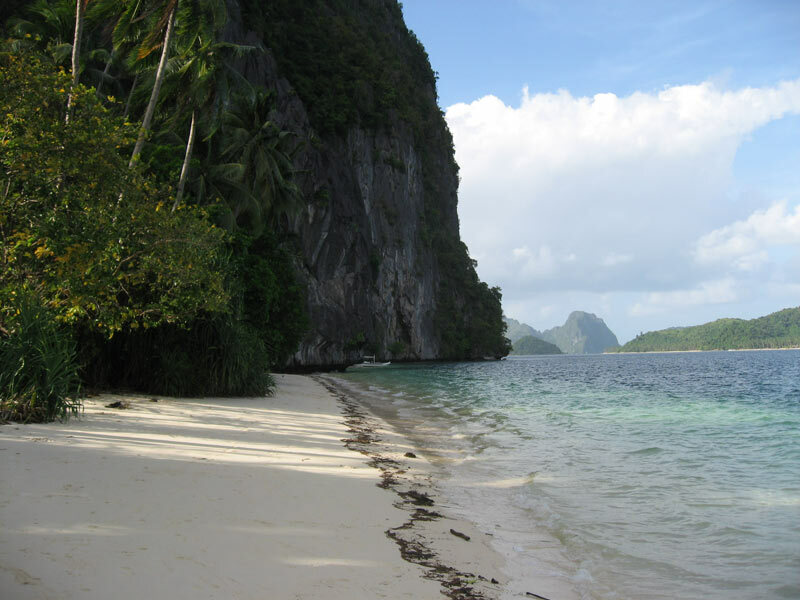 It’s nice to hear about El Nido from someone outside the country! 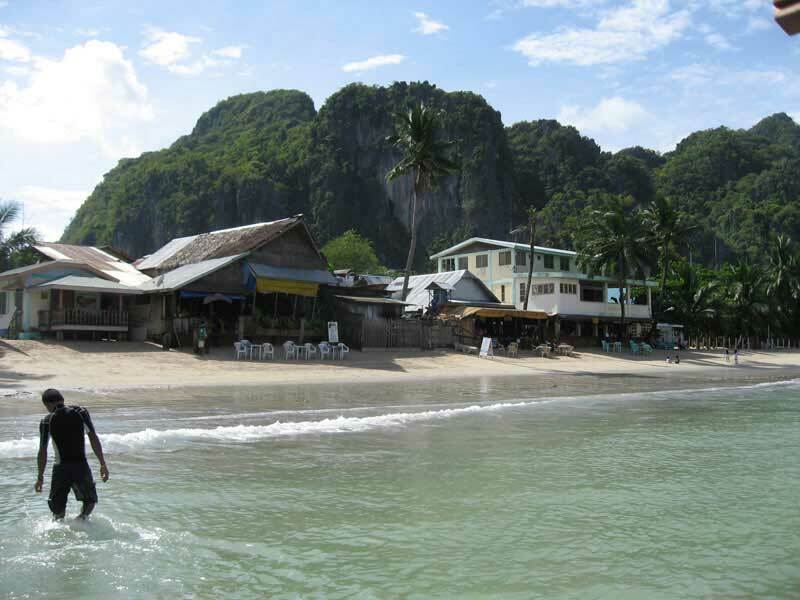 I shall go there this December. 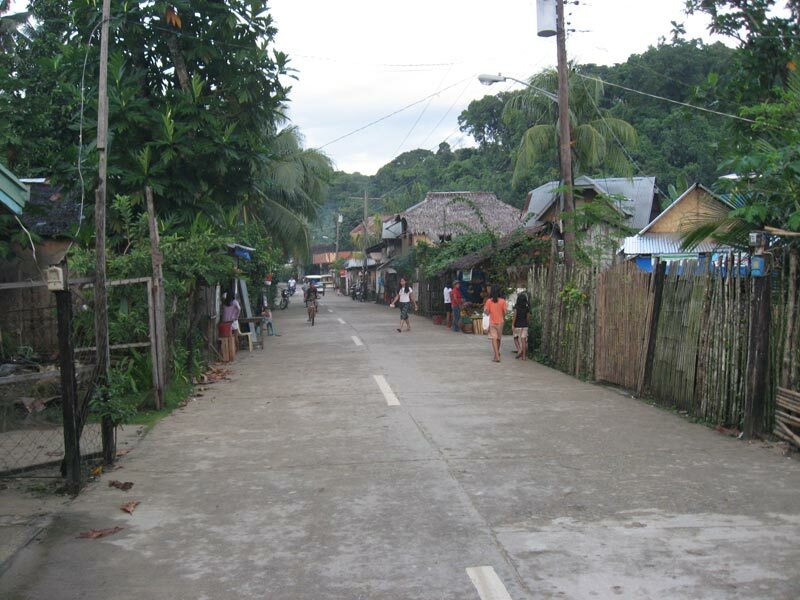 I was born in the Philippines!!! Thanks for taking me through my lovely country! I absolutely miss it there! 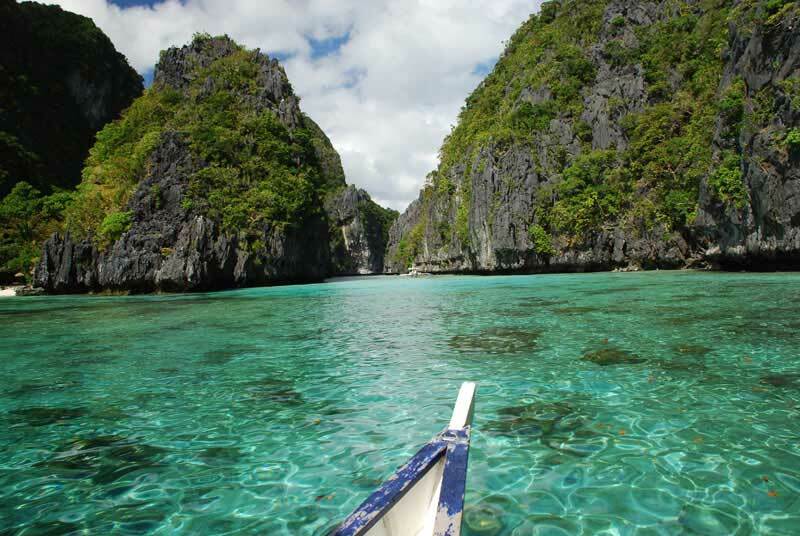 Wow I live in the Philippines but I have sadly never set foot on Palawan. 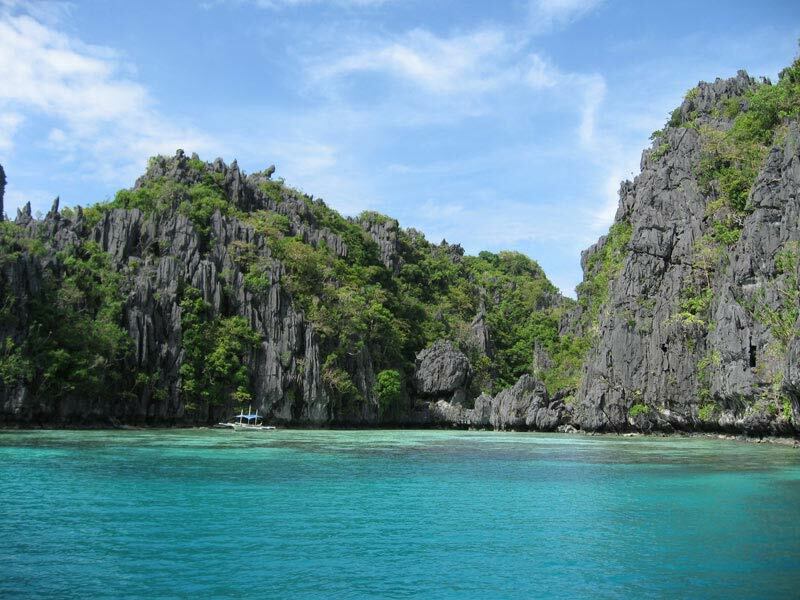 Your pictures make me want to go to Palawan badly 😀 Thanks for the detailed guide. 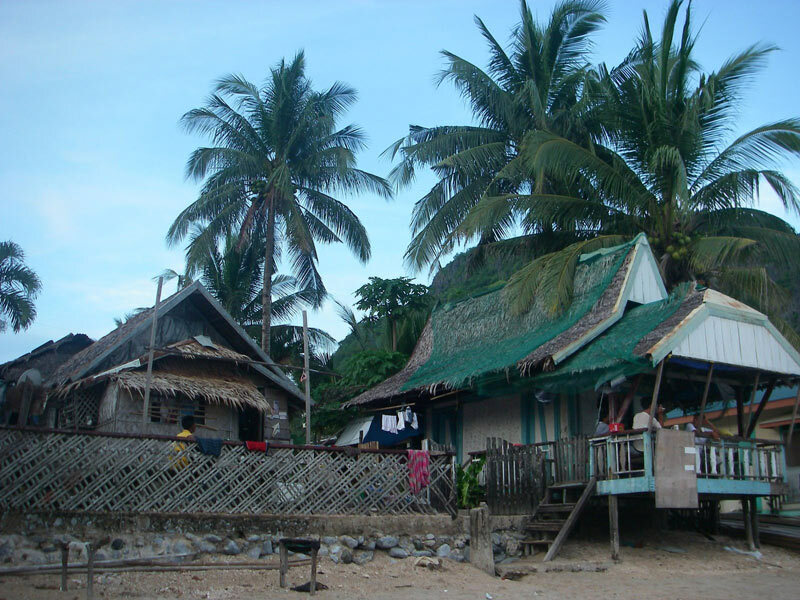 Before it becomes overrun like Phi-Phi in Thailand. Hello Vincent. 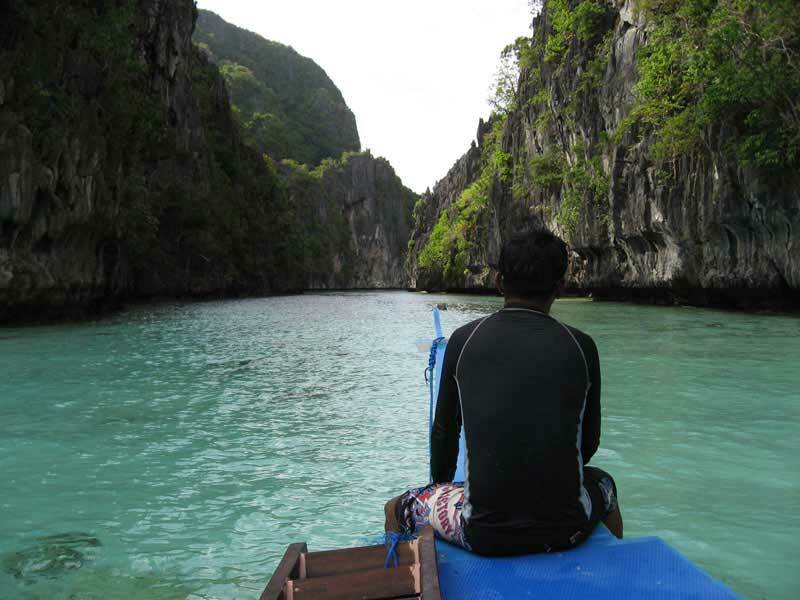 Thank you so much for your travelogue and the spectacular pictures of El Nido. 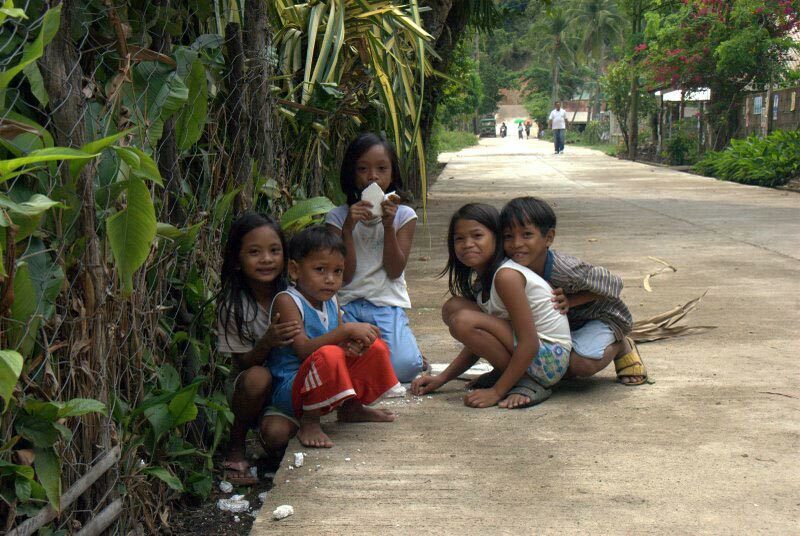 I am Filipino but have lived abroad for the past 18 years. 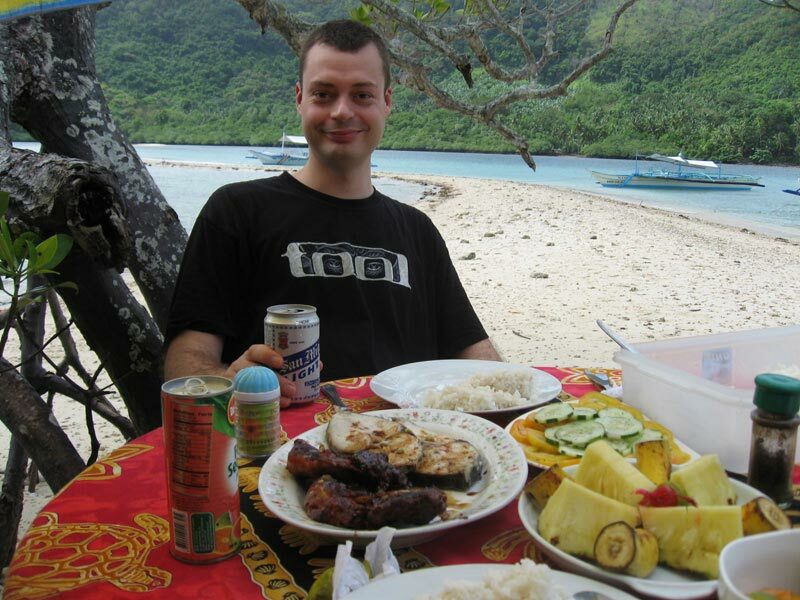 I was in the Philippines from late May to early July this year (2009) and during one dinner with some friends in Makati one of them talked about his recent trip to El Nido. 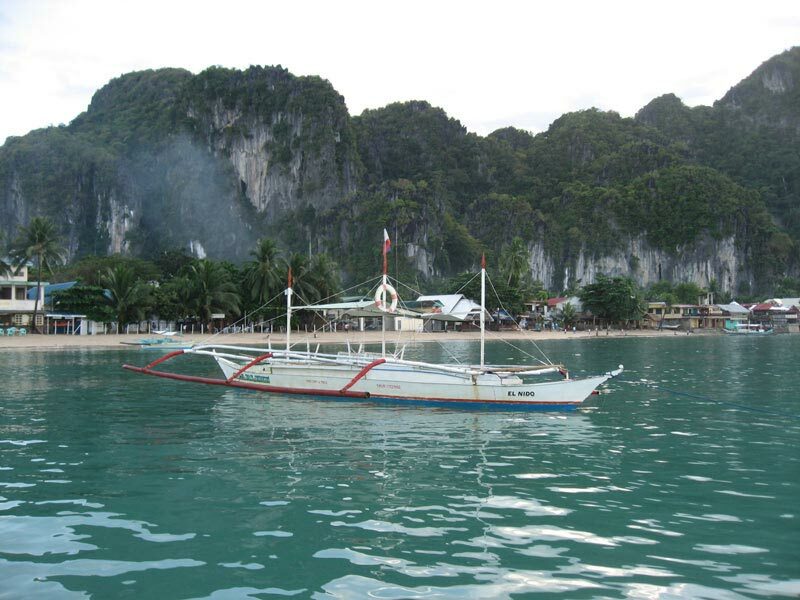 The very next week I flew to Puerto Princesa and took the van to El Nido. 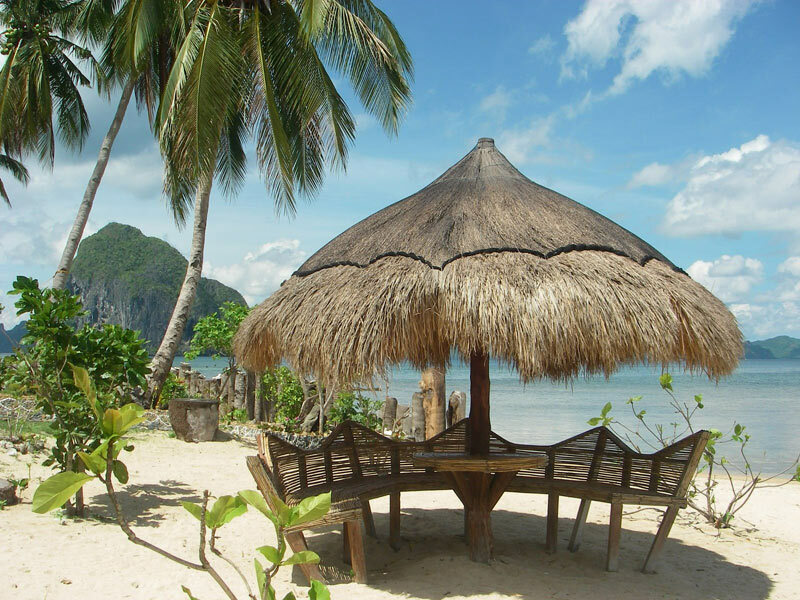 I still have to upload my pictures but I strongly believe El Nido is the most magnificent place I have ever visited in the Philippines – if not in the world. 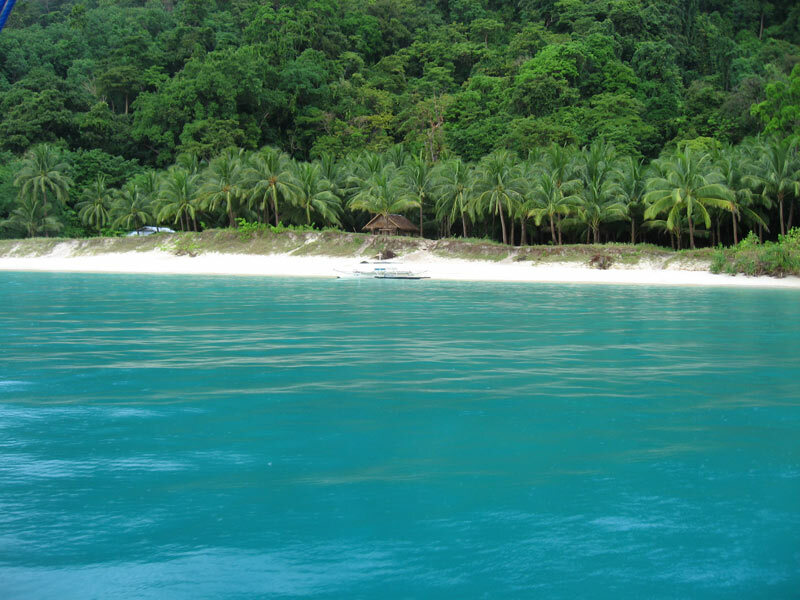 The Bacuit archipelago is simply stunning and what I like most about it is that it is still largely untouched, unspoilt, raw, and pristine. 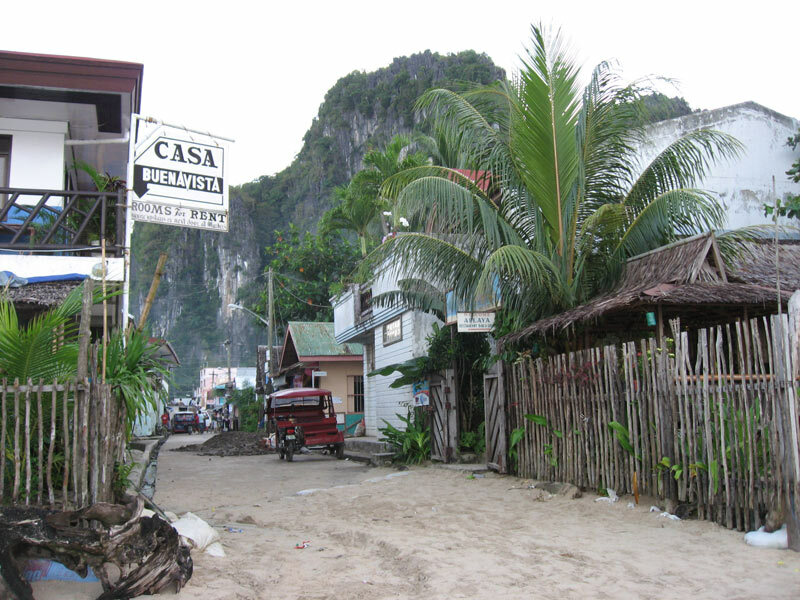 While having dinner one night at a restaurant in the town of El Nido I overheard an Englishman and his Scottish girlfriend talking to the Swiss owner of the place. 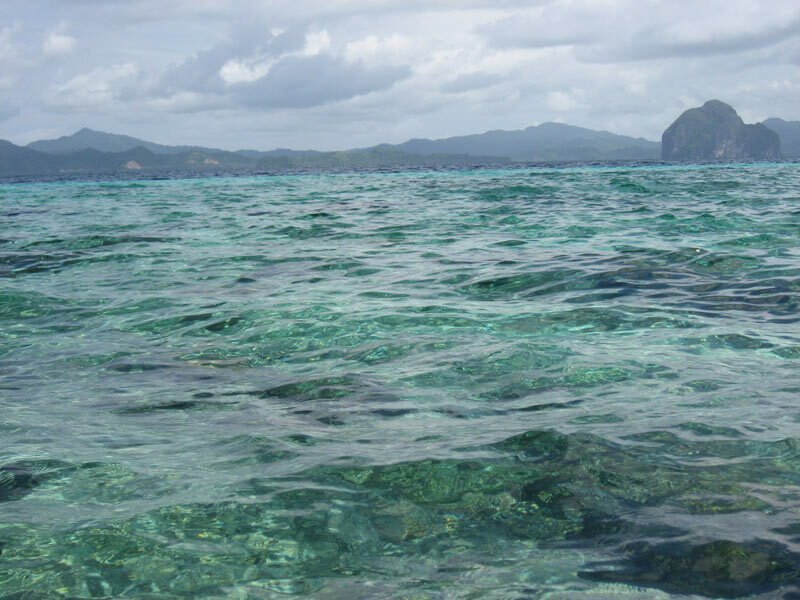 They said they were in Australia when a friend of theirs posted some pictures he had taken in El Nido on his Facebook page. 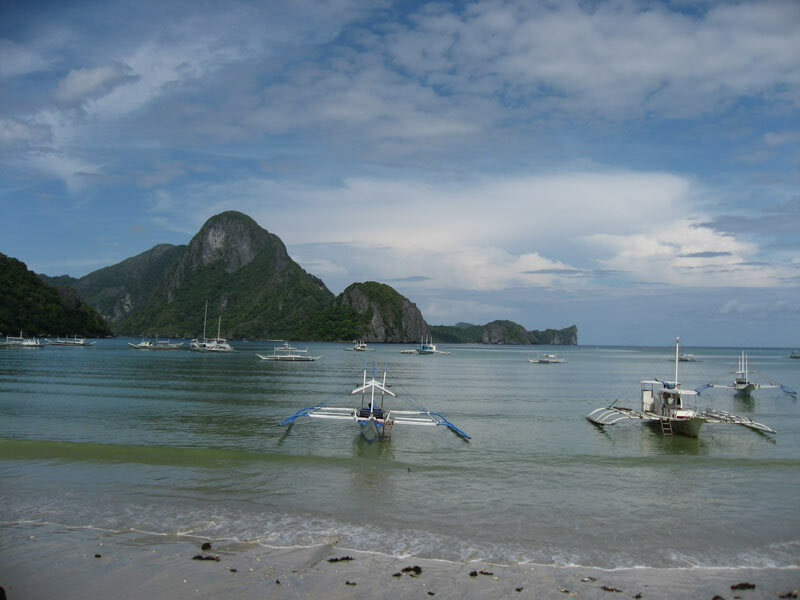 As soon as they saw those pictures they immediately decided to change their travel plans and spend some time in El Nido. The pictures look amazing. I’d love to visit these places sometimes. Yes! 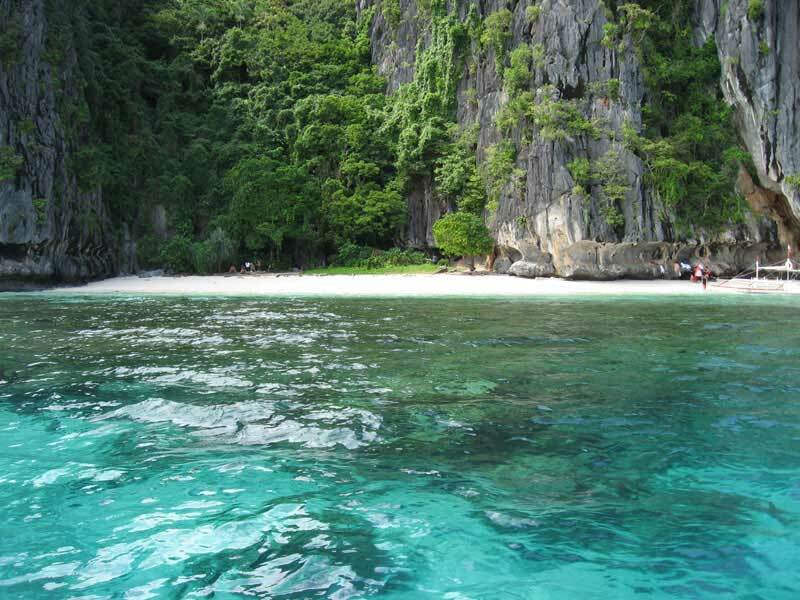 I guess El Nido is what I’ve been dreaming to go to. I guess there’s just so many beautiful sceneries in that part of Palawan… You’re one lucky traveler! 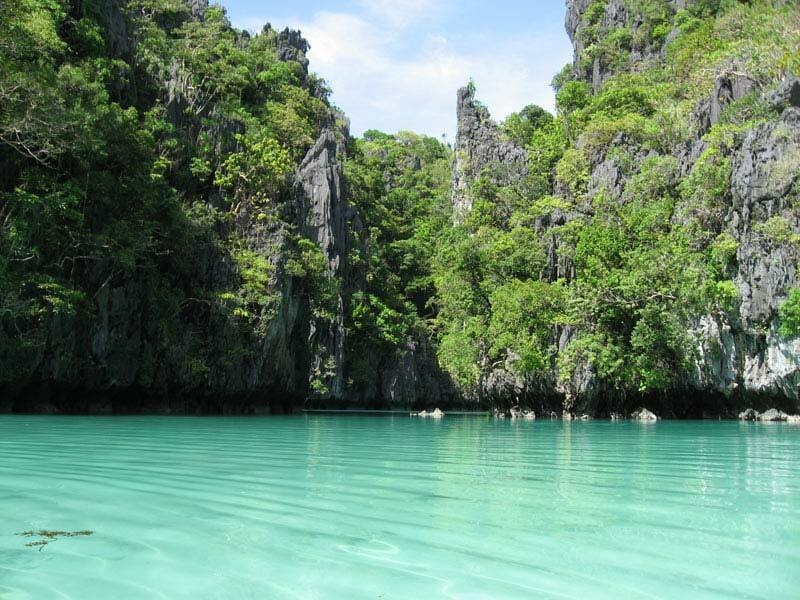 What I mean is that what a lucky guy that you are having been to these beautiful places in the Philippines. Have fun! 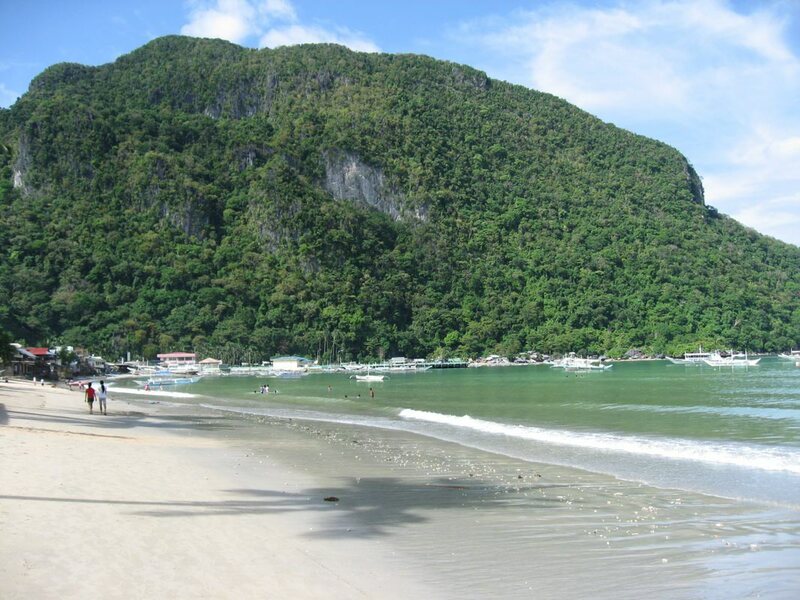 El Nido is one of my favorite places in the Philippines. 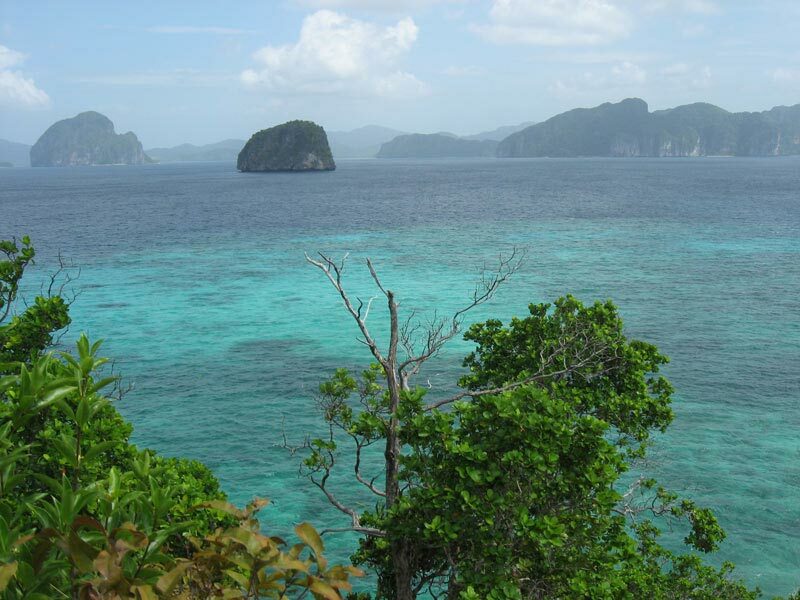 It's stunning especially the islands around Bacuit Bay. 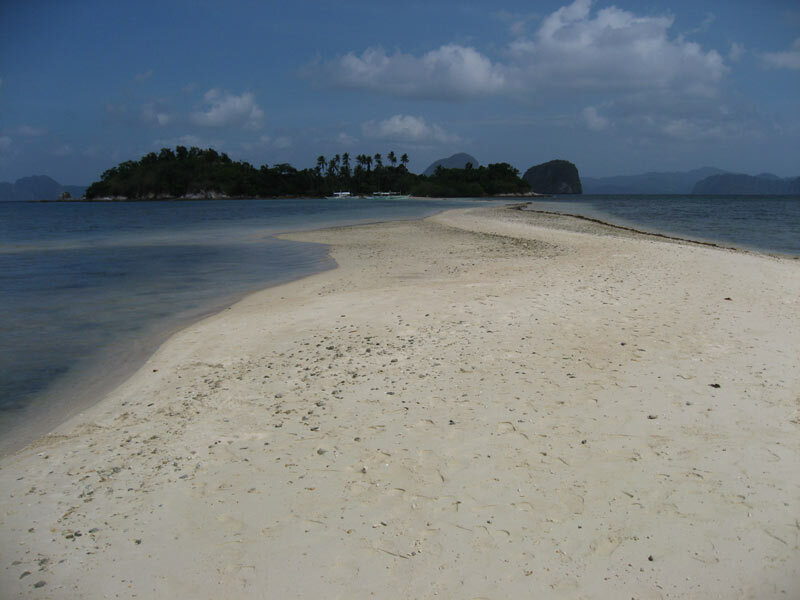 Another place that I like the most is Nacpan and Calitang Beach which is just less than an hour away from El Nido town.